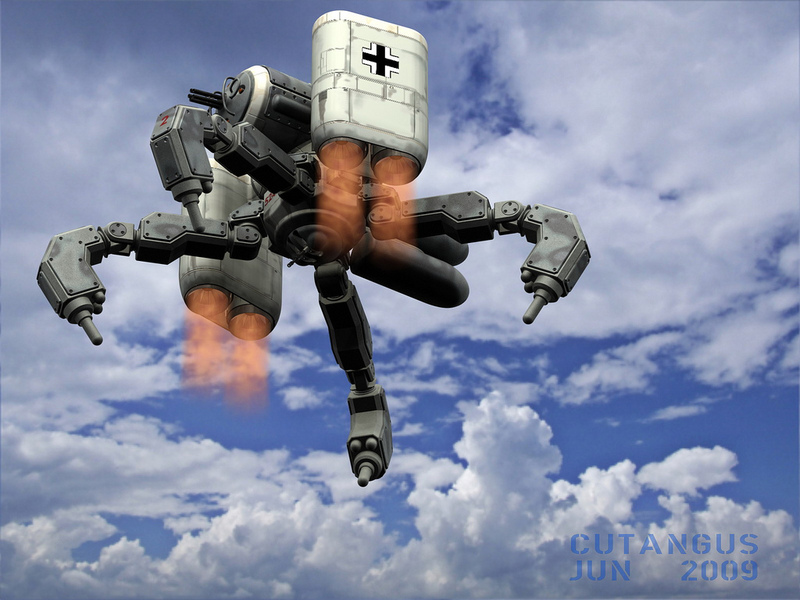 Article by Erlend Aaseth and Avi Abrams, Dark Roasted Blend. 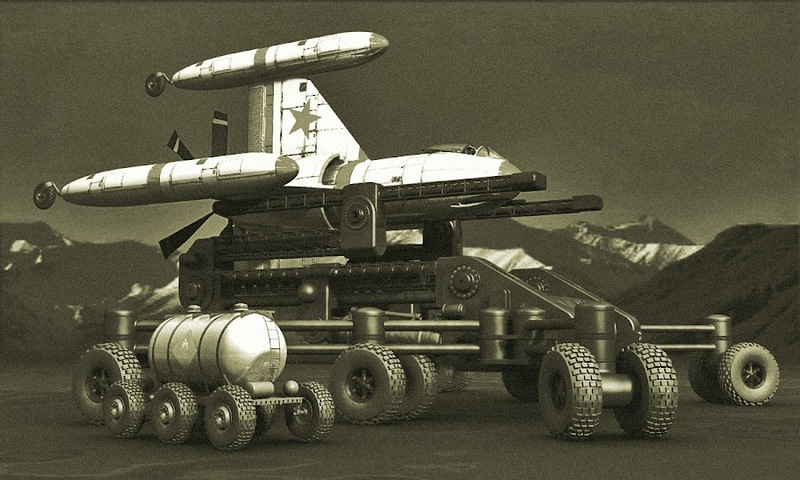 Erlend Aaseth, originally from a small Norwegian fishing village, now resides in Australia. 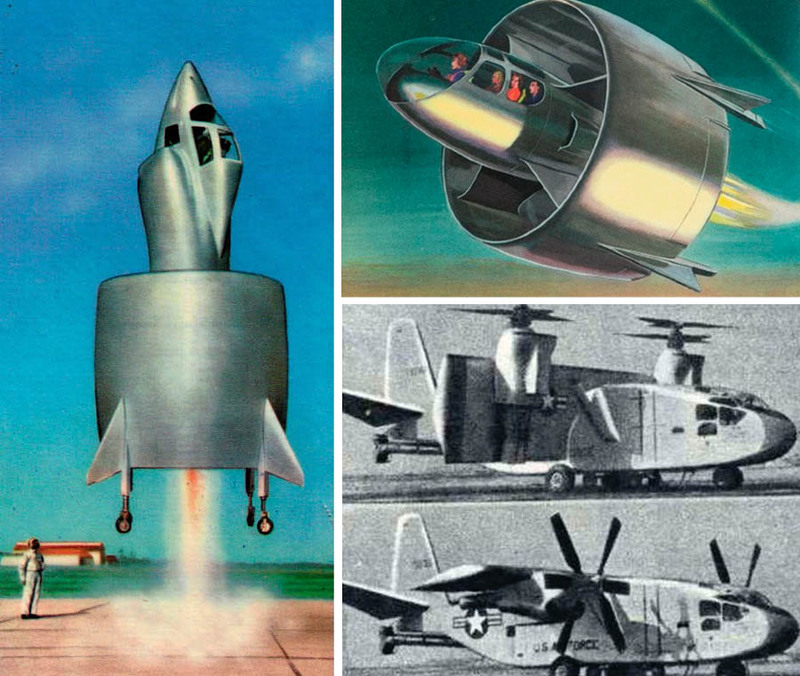 His site Giant Earth is all about vintage technology and airplanes. 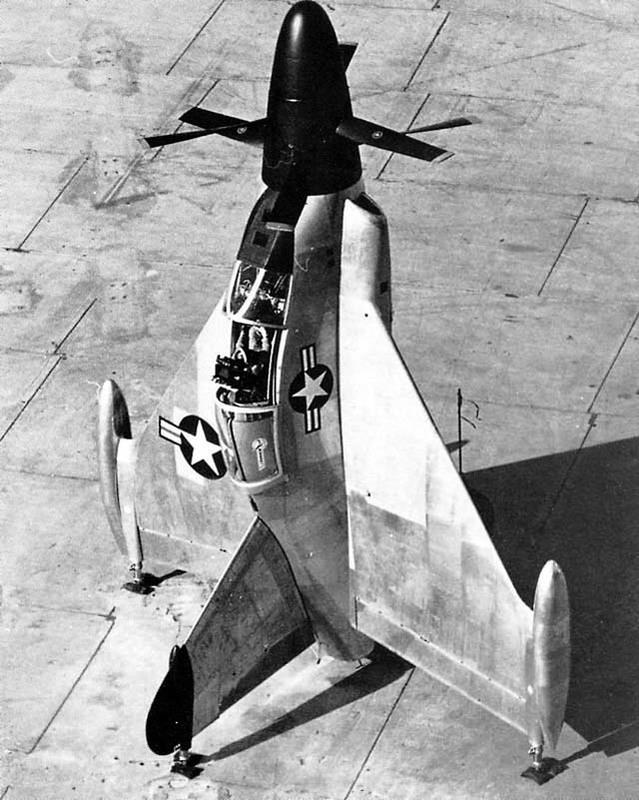 The Triebflügel wasn't the only tailsitter that WWII Germany researched; the Messerschmidt Wespe was a design with an annular wing like the French Coleoptere, but with a propellor in the gap between the fuselage and the wing, making it a ducted-fan design. 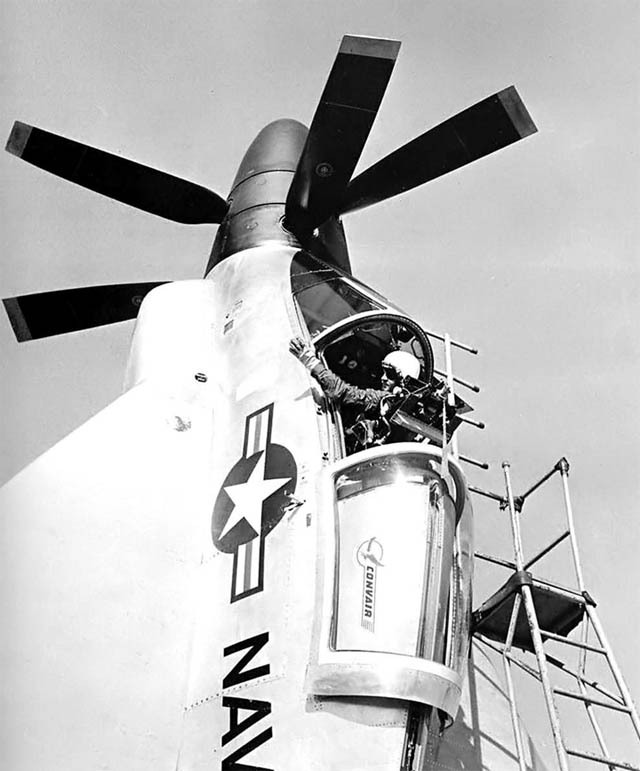 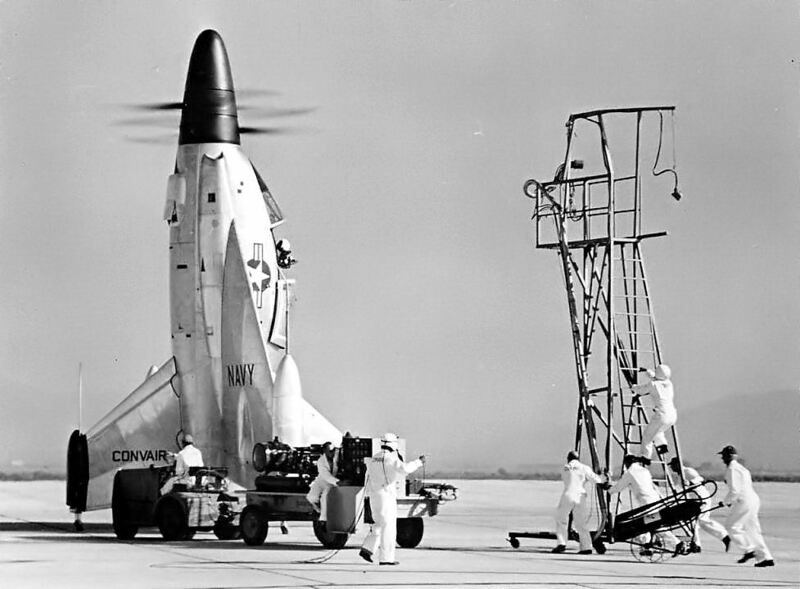 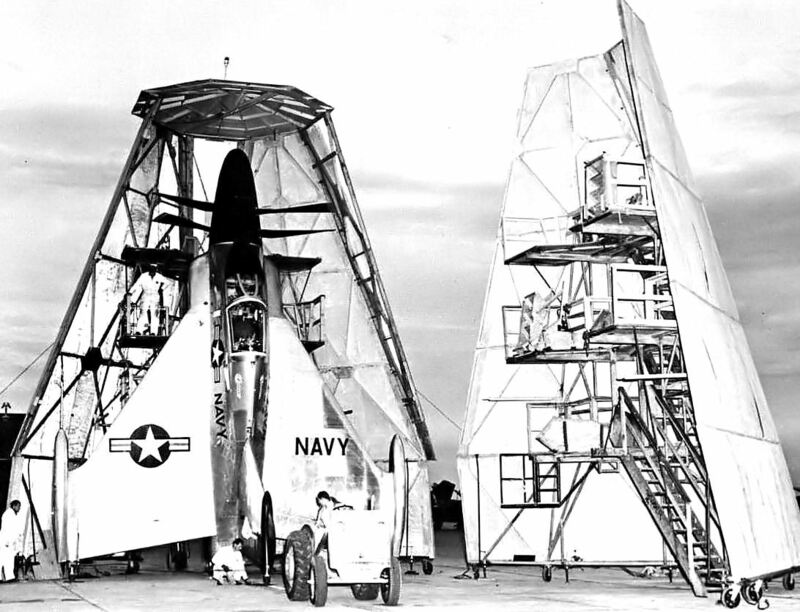 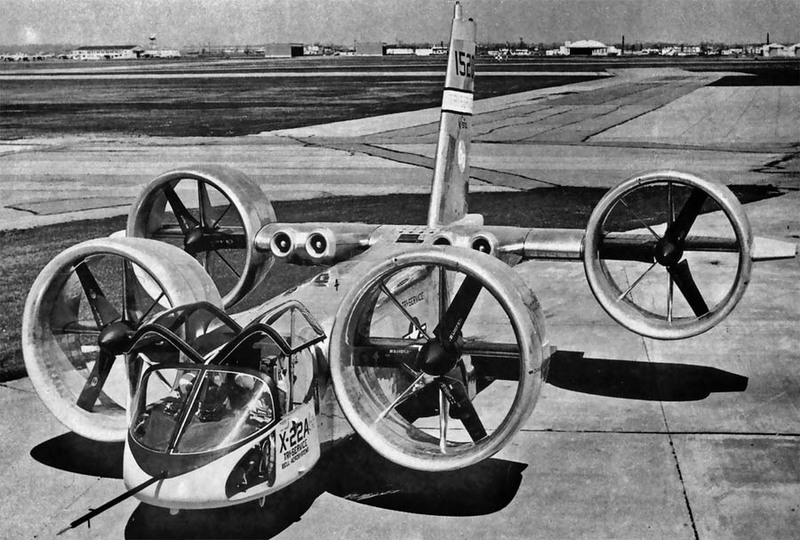 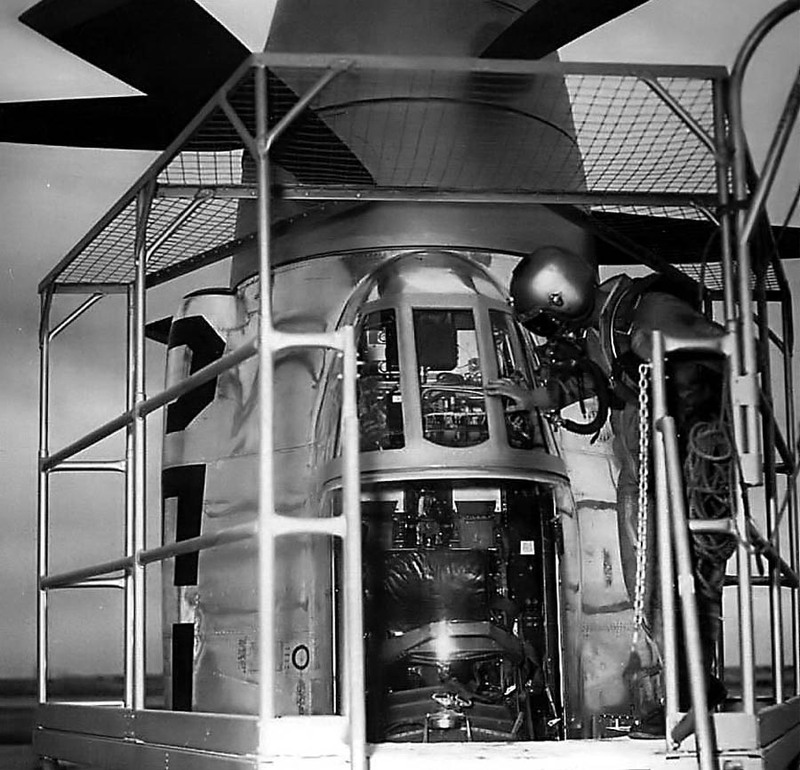 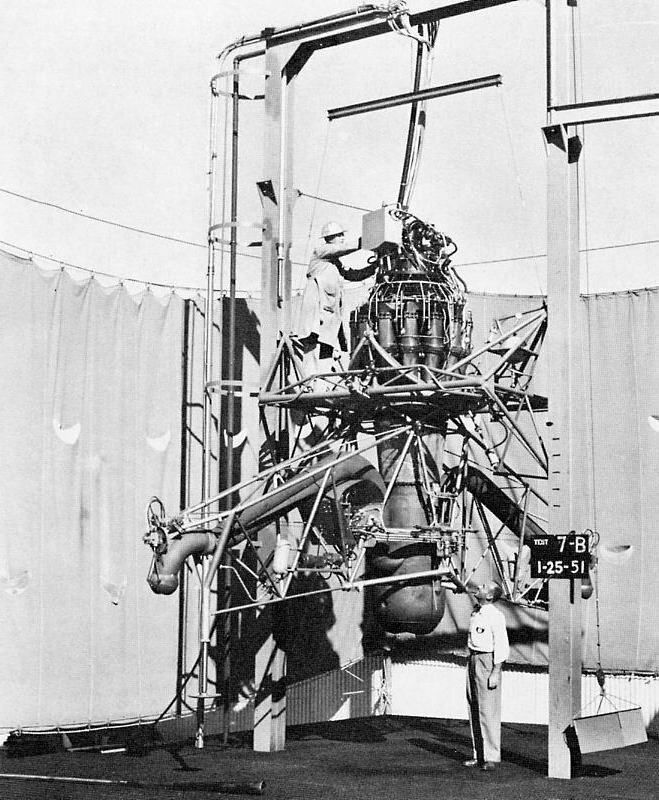 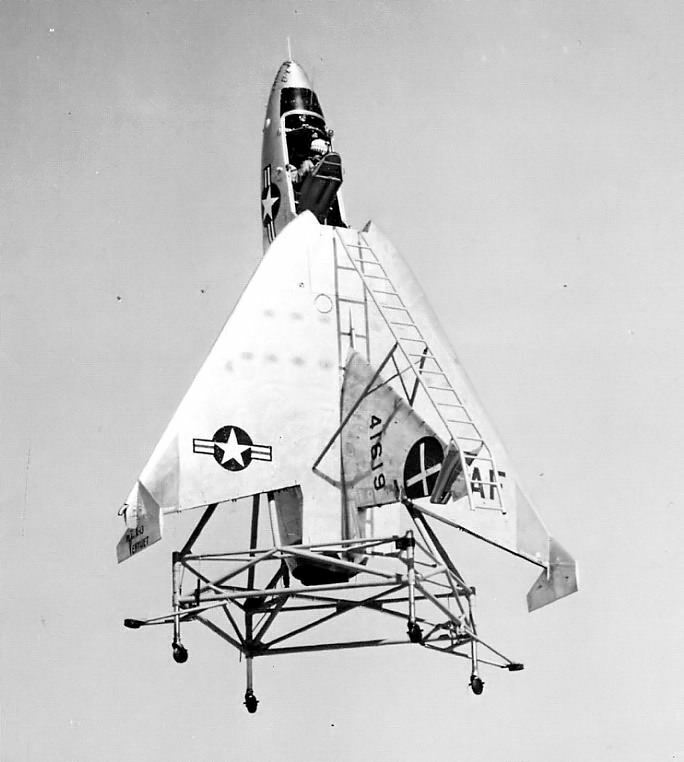 The reason the XFV-1 was fitted with fixed landing gear was because both the XFV-1 and XFY-1 were meant to use the same turboshaft engine, but only one prototype engine was finished in time for the tests. 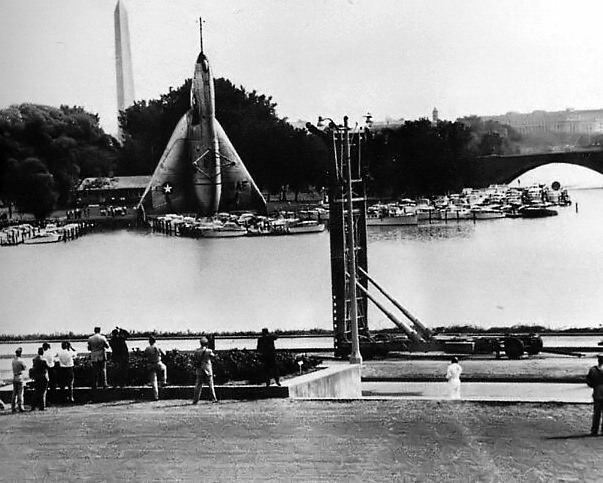 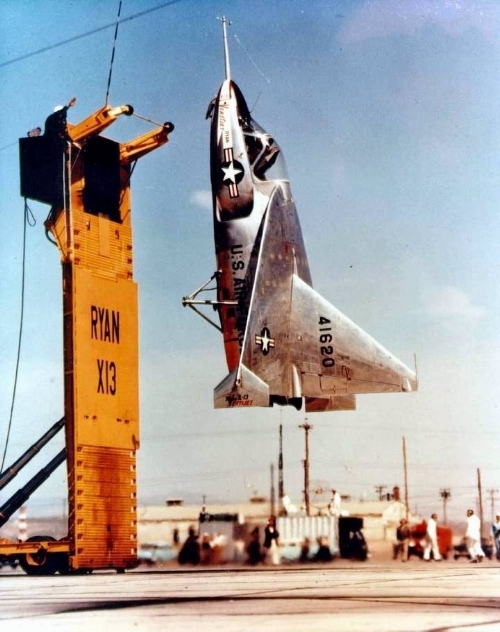 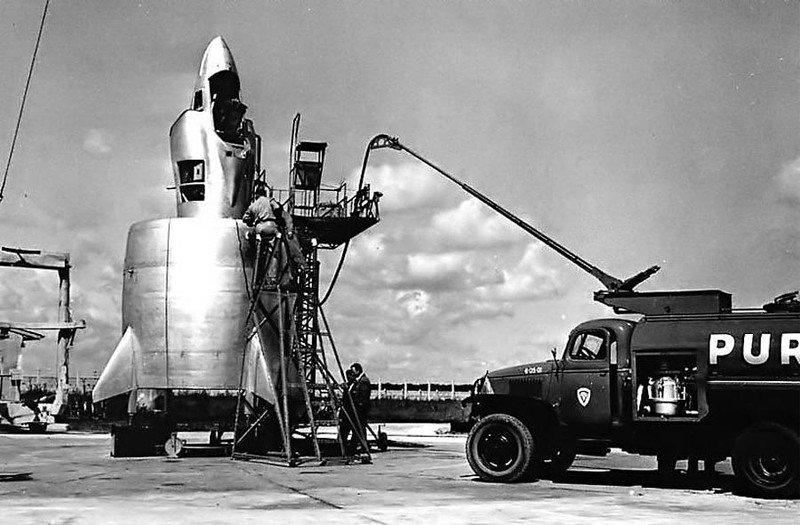 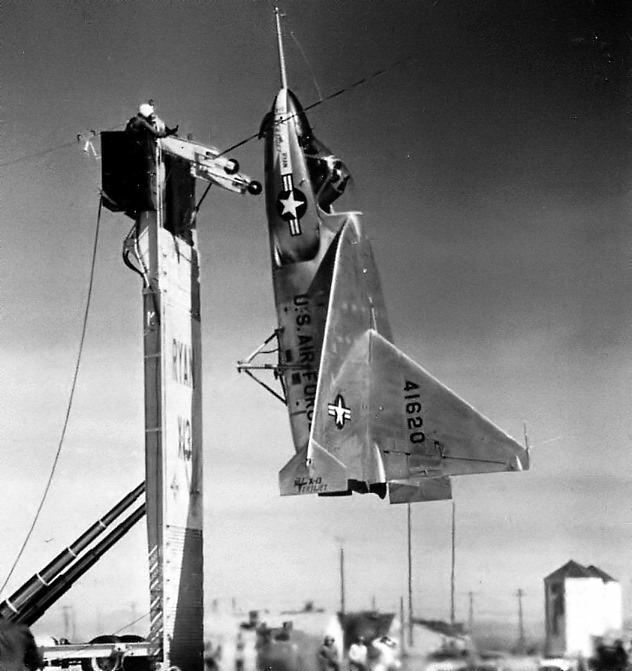 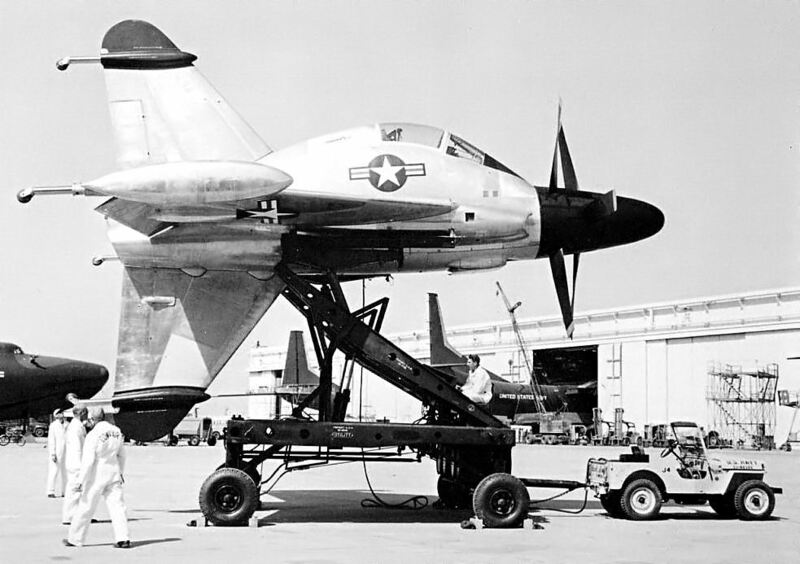 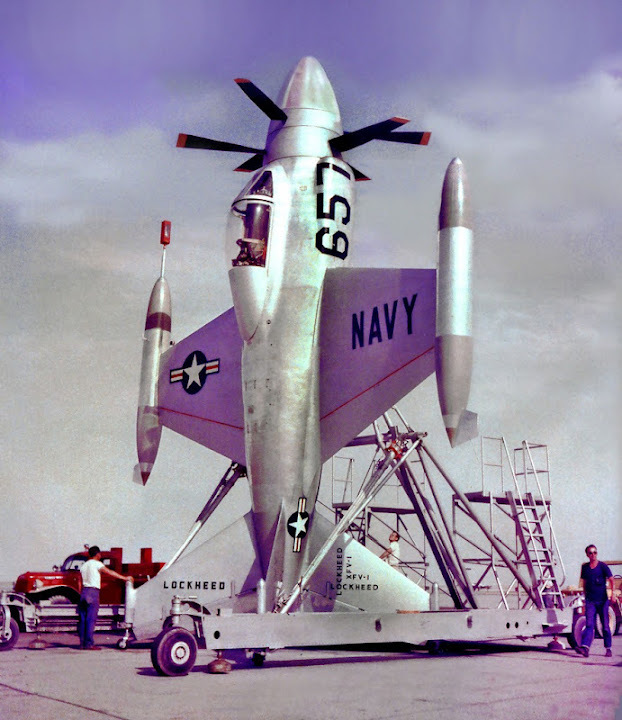 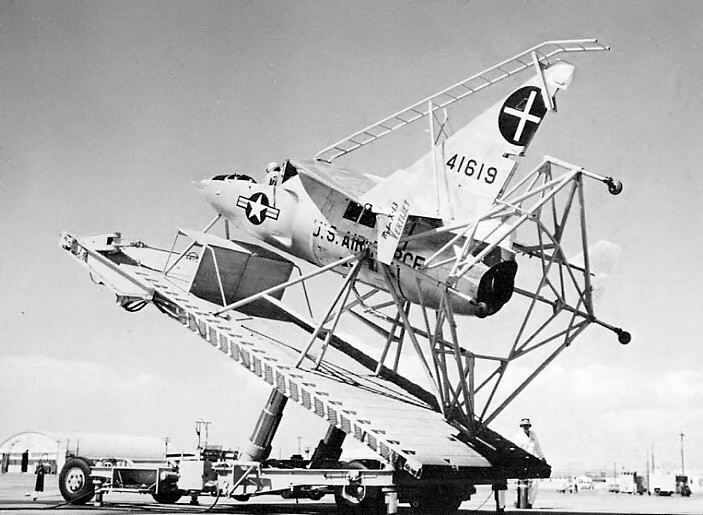 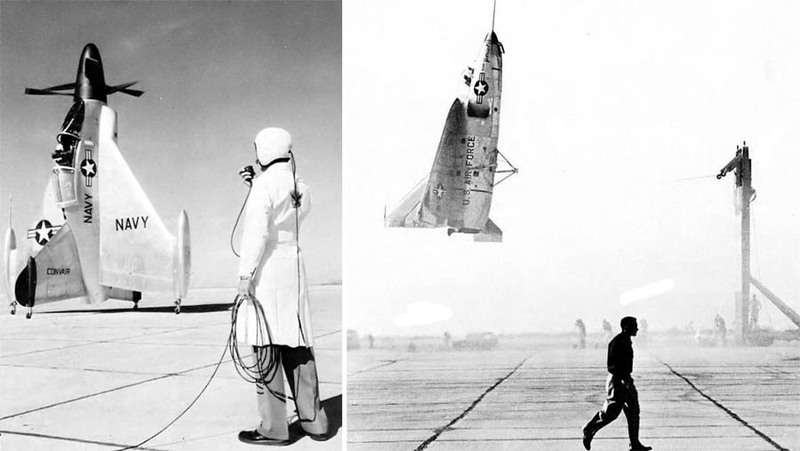 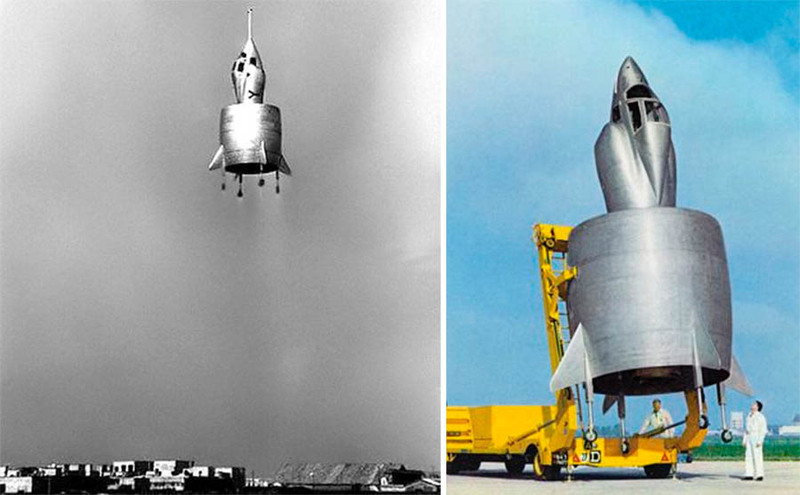 As a result, the XFV-1 didn't have the power to take off vertically, and had to make a conventional rolling take-off and landing. 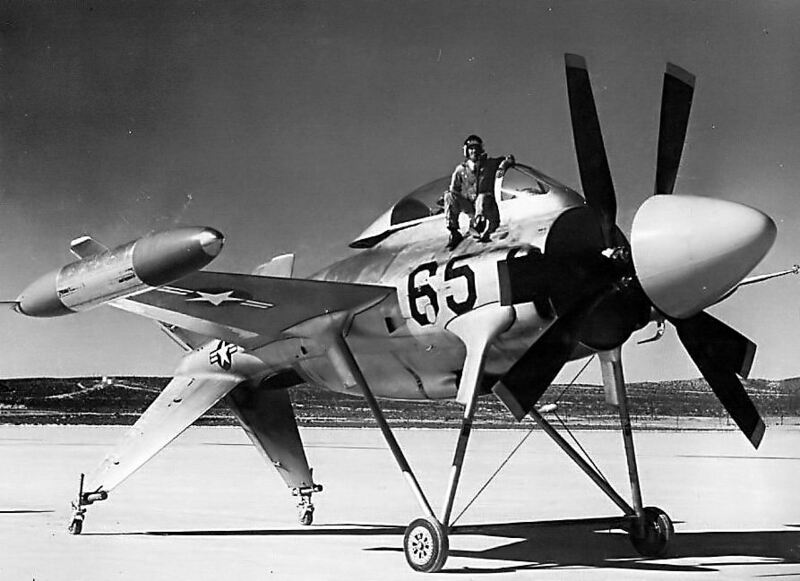 What about this simple idea to turn modern fighter jets with conventional glider and engine schemes in tailsitter?